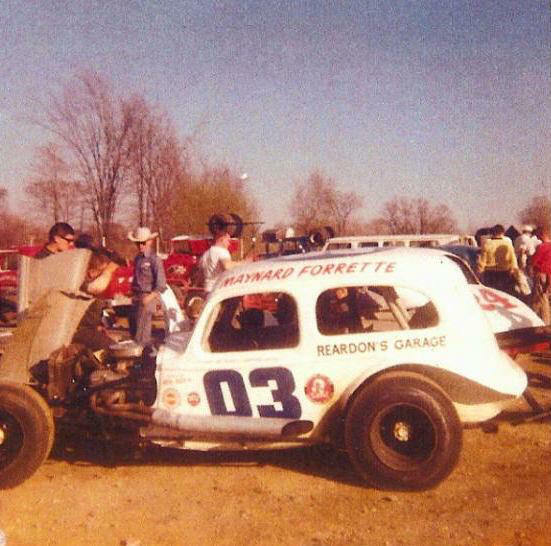 From what I can gather from web site chatter, Godrey was an ace mechanic who served on some of Rene Charland's teams in the era in which Charland was running for those four consecutive national titles. 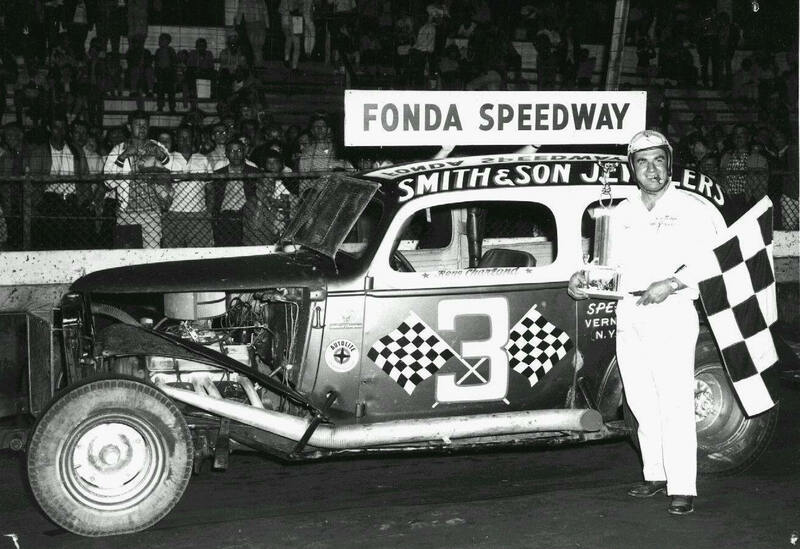 The first car that seems to be connected with him directly was that Smith and Sons Jewelers sedan that Charland drive at some New York venues like Fonda and Utica - Rome. Springs around the same time. 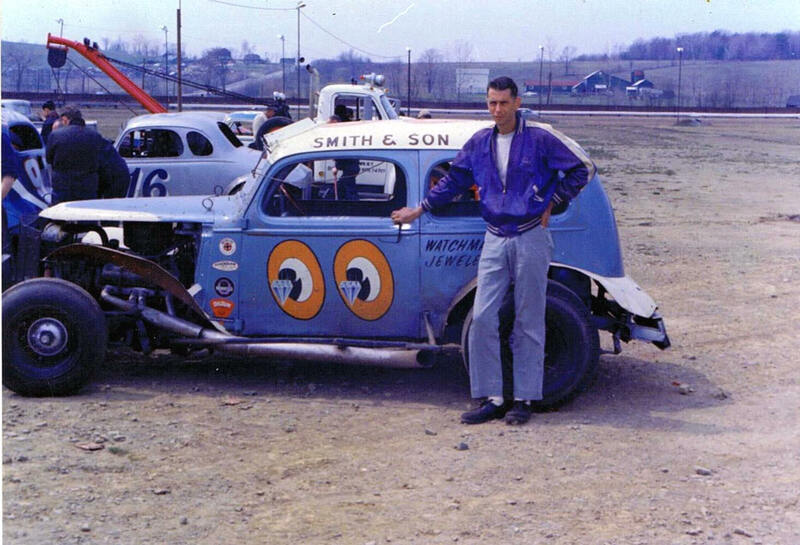 At the track of his friend - Utica - Rome Speedway, which he often advertised. 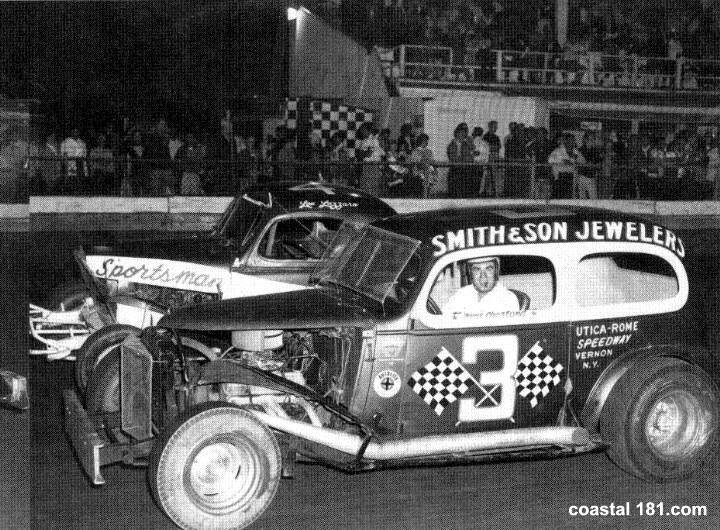 After Charland's national points chase era, in which Charland used a number of cars all over the East, Wenzel redid the graphics on the sedan while keeping the Smith and Sons support. The car, now steel grey, sported mooneyes - style #00 numerals. 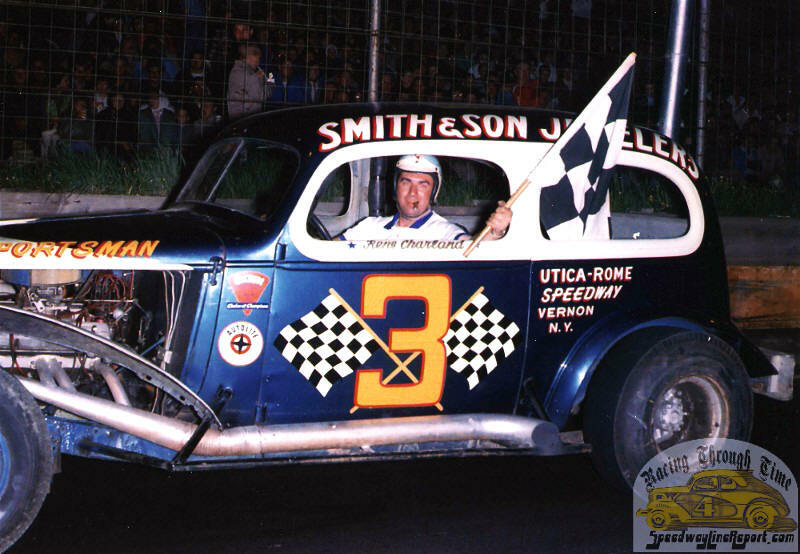 The car would be driven primarily by Cobleskill's Donny Wayman and Utica's Jim Luke. 00 at somewhere like Utica - Rome. on old 8mm footage, at Victoria. 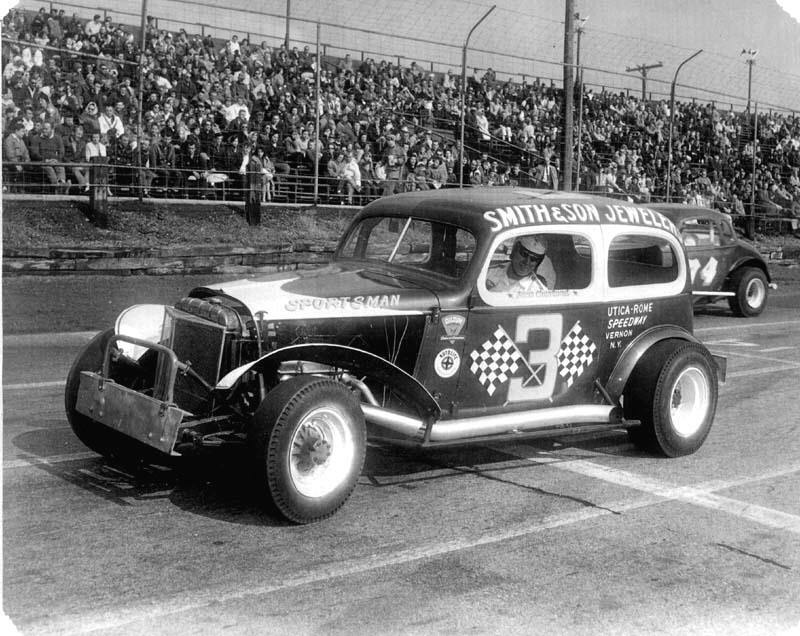 the SMith and Sons / Wenzel sedan. 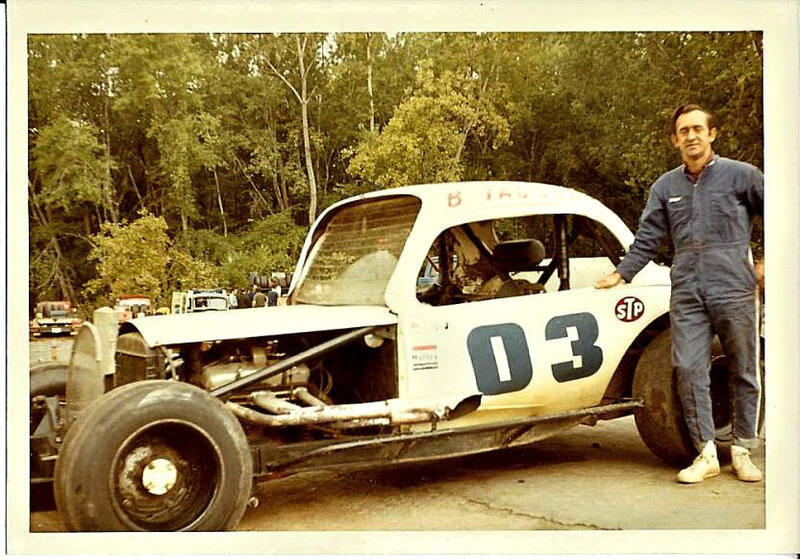 Don Wayman at Stafford with the 00. 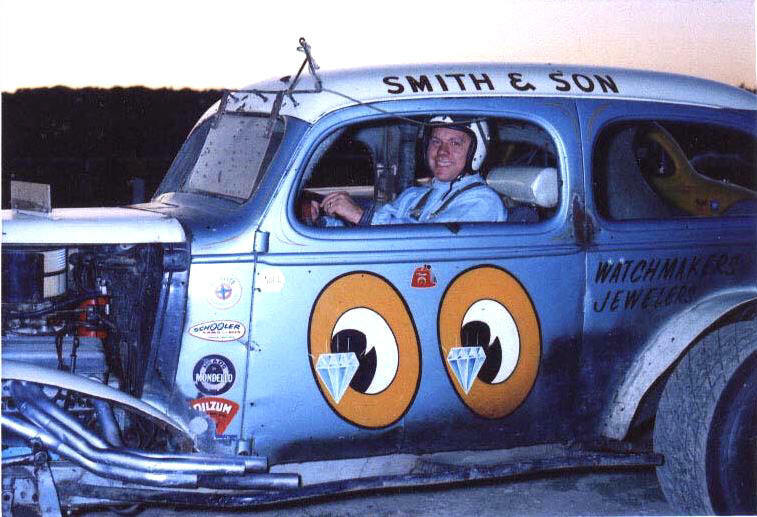 When Wenzel's time with Smith and Sons Jewelers ended, he took the original car, again redid the graphics, and associated with the famous Reardon's Garage. 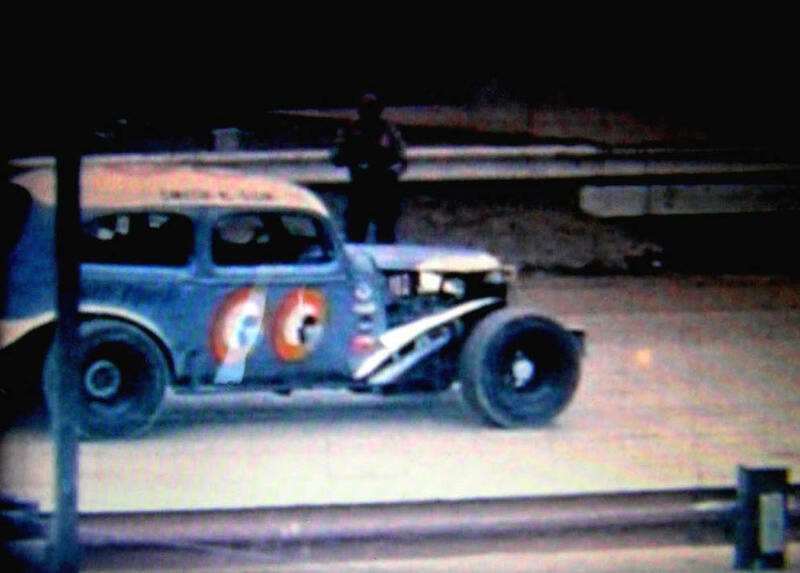 The original car ran with such drivers as Wayman and Irv Taylor. 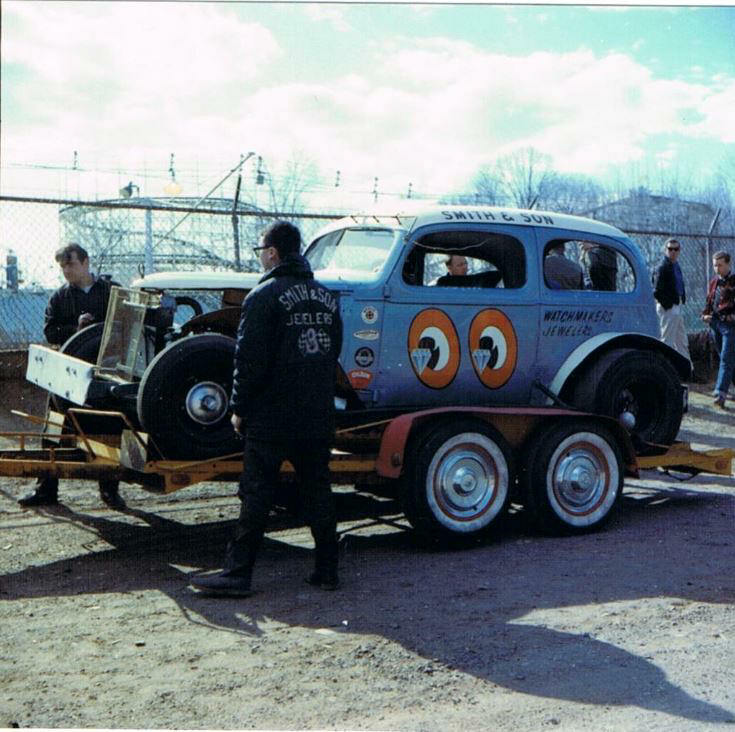 Later, Wentzel took another sedan from that Springfield / Agawam area, and added it as a team car. 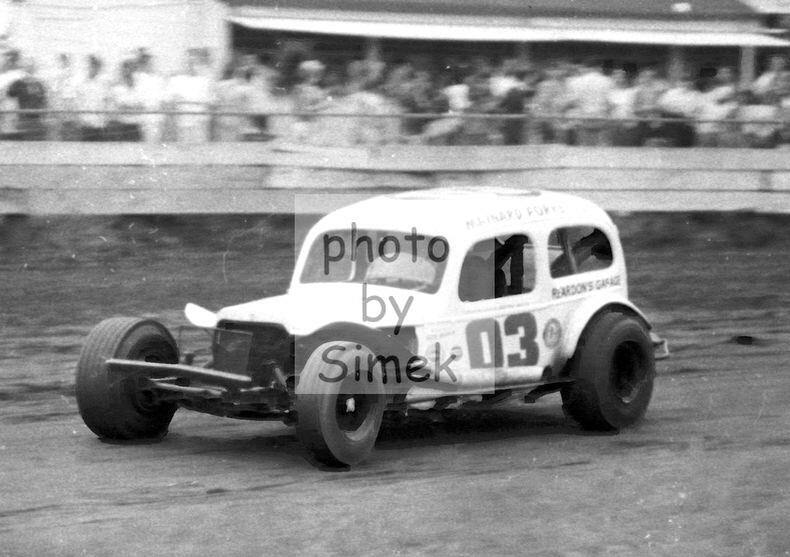 I believe this was the newer Holiday Magic Cosmetics sedan that run in the semi late model division at places like Riverside Park and Albany - Sarqatoga Speedway - mostly with George Rettew of Chicopee at the wheel. 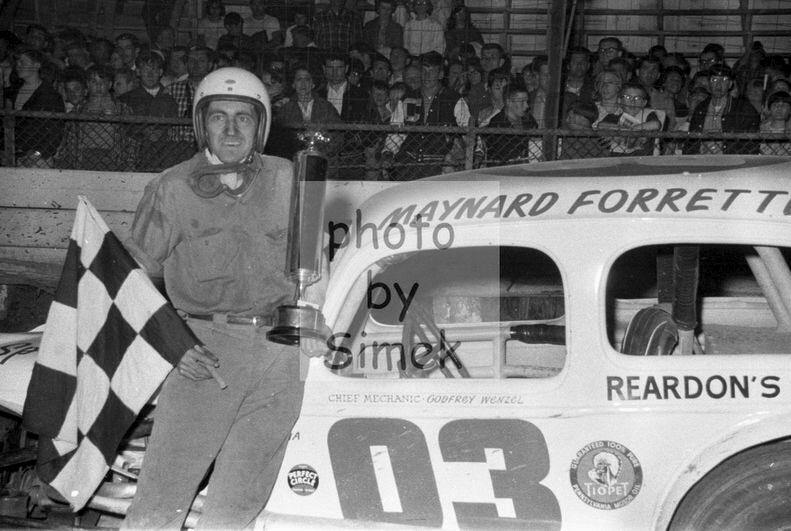 The newer car would be steered mostly Maynard Forrette. 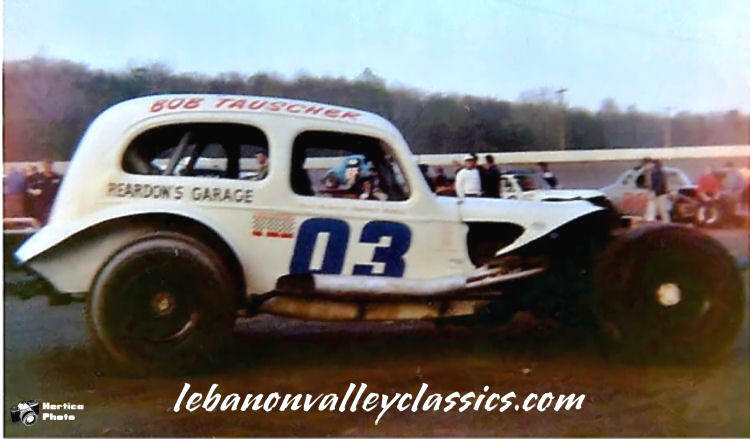 Bob Tauscher had what seemed to be a third Wenzel white 03 at Lebanon Valley and, occasionally at Stafford. original Wenzel sedan at Fonda. 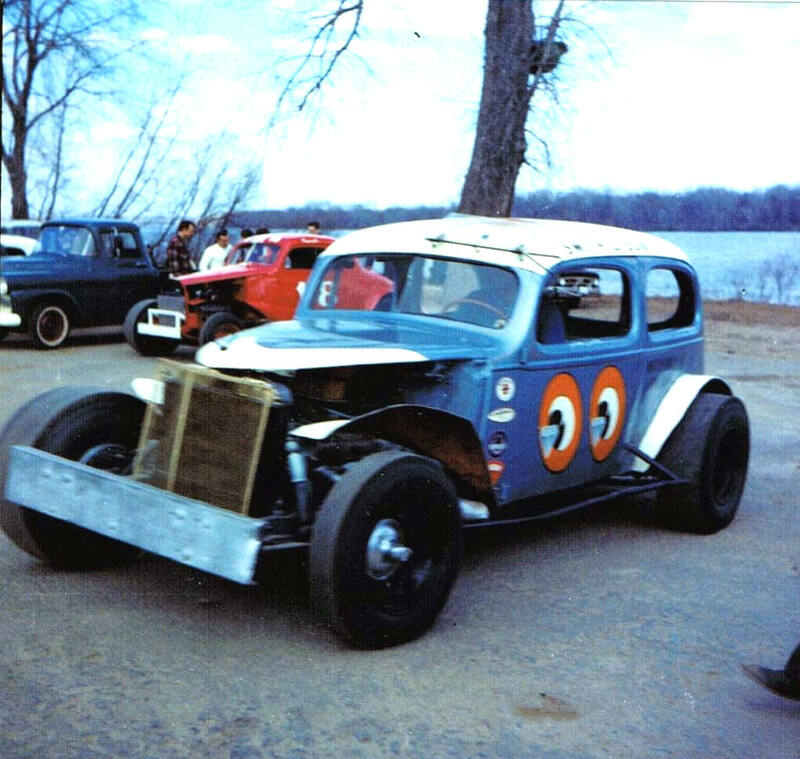 the former Rettew car at the Valley. 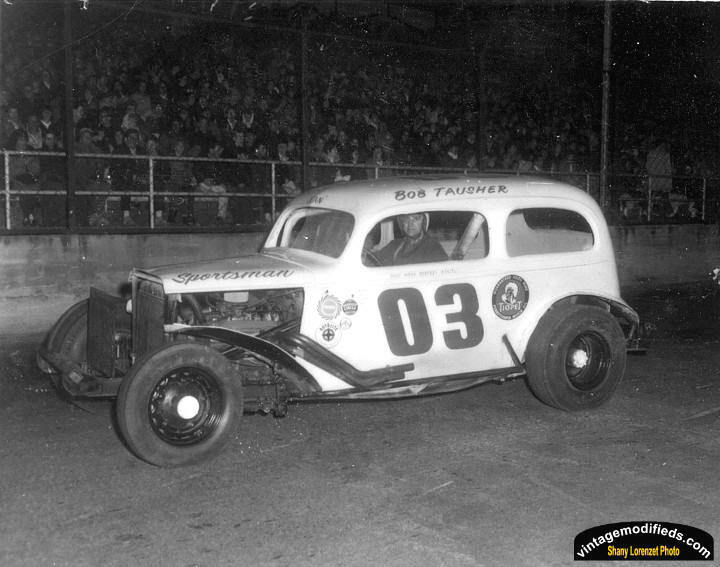 Bob Tauscher, with the "third"
#01 sedan DeSarro once drove. Twin Wenzels in an All Star League event. 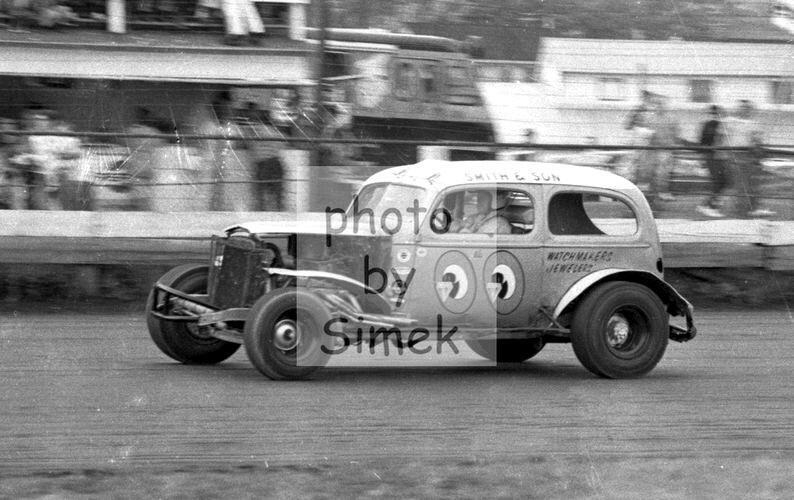 Maynard Forette in the lead car and Irv Taylor following in the older sedan.